Bigfin is one of the few SEO companies with the technical experience to deliver organic Page One placement on Google, Yahoo and Bing. Our SEO work increases traffic to your website, converting clicks to calls and calls to clients. Why Focus on Organic Search? Search engine users typically prefer to click on the organic results provided by Google and Bing over paid ads. The higher you rank on Page One, the more likely those users are to click. That’s why it’s helpful to have a professional SEO company in your corner that works diligently to help your website rise steadily up the ranks. SEO is the technical art of refining the many elements on and off your website so the site can be properly indexed by search engines. Since search engines use these elements to determine listings in their results pages, the purpose of optimization is to present each element in the best possible light. The primary purpose of SEO is to help your website rank for relevant keyword targets. Our initial work involves keyword research techniques that identify untapped sub-categories of potential lead sources. Once we’ve determined which keywords are most likely to drive traffic to your website, we work with the code and content of your website to help it line up with what Google and other search engines are looking for in their algorithms. What Will I Get As An SEO Customer? 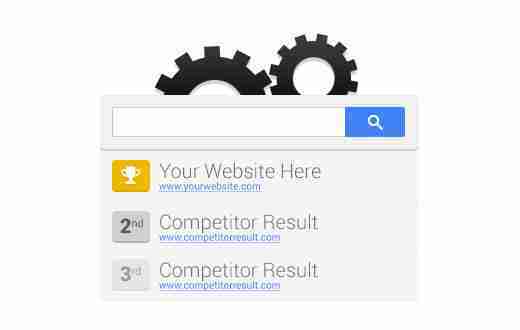 Competitive analysis to determine who is already on Page One for your keyword targets and why. This analysis helps us li develop a strategy to outperform the current Top 10 websites for your keyword targets. Website code analysis and edits to bring your website into compliance with Google standards. Content optimization to ensure page content lines up with keyword targets. Bigfin is skilled at seamlessly integrating li keywords into content with a high level of subtlety and minimal editorial impact. That means even content-li optimized web pages still read like you wrote them. Internal linking and navigation strategies. Monthly reporting analysis to evaluate the effect of the changes. Monthly repetition of the process to improve listings based on search engine feedback and to defend any new Page One listings against competition.